Marvel are starting what looks to be one of the coolest ideas since Superior Spider-man. This week see’s the first issue of 100th Anniversary Special #1 Spider-man. 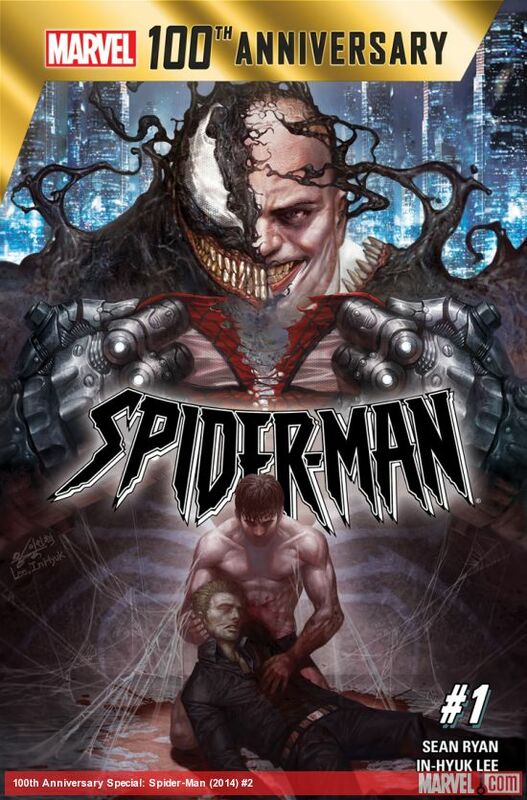 It’s a series set 100 years after Peter Parker gets his powers in the year 2061. The first issue out this week features the Fantastic Four from the future and the next one will be King Pin with the Symbiot suit.